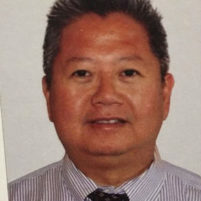 Dr. Dzung Ahn Pham, 57, of Tustin is the owner of Irvine Village Urgent Care. Pham, who is charged with two counts of illegally distributing oxycodone, allegedly distributed opioid and other powerful narcotics by writing prescriptions for patients without medical examinations. At least five of Pham’s patients died of drug overdoses, a Department of Justice press release states. Another man who allegedly obtained prescriptions from the doctor was involved in a car accident last month that killed a bicyclist who was a Costa Mesa fire captain. Additionally, Pham sent a text message obtained by federal investigators expressing concern about information he received that the gunman who shot and killed 12 people at the Borderline Bar and Grill in Thousand Oaks last month was in possession of drugs that Pham had prescribed for someone else. An affidavit states Pham was selling prescriptions to “patients” who were drug addicts and/or to “patients” who were selling the drugs on the black market. Pham issued an extremely high amount of prescriptions over a three-year period, and the types of drugs prescribed to certain patients would lead to a higher risk for addiction, overdose and death, according to the affidavit. Investigators found that a CVS pharmacy in Irvine stopped accepting prescriptions from Pham more than five years ago when the doctor could not justify the number of opioid pills he was prescribing to patients. Over the summer, investigators conducted two undercover operations in which an agent quickly and easily obtained prescriptions for narcotics, including one that is the combined used of an opioid, a benzodiazepine and a carisoprodol. Such combinations are known as a “triple threat” or “holy trinity.” Pham allegedly directed the undercover agent to go to an Irvine pharmacy that filled many of his prescriptions. In similar fashion, undercover San Luis Obispo police officers obtained narcotics prescriptions in 2015 from Dr. Atsuko Rees, a physician at Rees Family Medical Center in SLO. Prosecutors charged Rees with six felony counts of prescribing a controlled substance for a non-legitimate purpose, but a judge dismissed the charges on Monday after the SLO County District Attorney’s Office failed to arraign Rees in time and the statue of limitations expired. Across the United Sates, medical officials have been trying to determine if a small number of doctors are responsible for the majority of opioid prescriptions written without legitimate medical reasons. The few doctors implicated, many of whom are known for spending four to 10 minutes with patients before prescribing narcotics, are said to be providing substandard medical care as they rake in between $100 and $200 for each medical visit.